From floating markets to the old-fashioned rice paper-making village to the picturesque scenery of canals and waterfronts, Can Tho, Vietnam is a sight to behold. 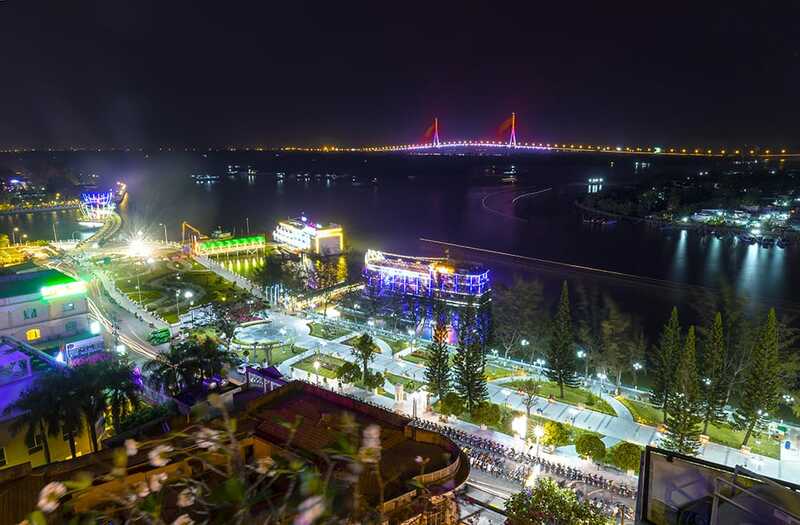 As the fourth largest city in Vietnam and housing over 1.2 million people, Can Tho has evolved quickly and epically in the past 120 years to become the country’s epicenter for culture, economics, science, and technology. Also known as the “western capital,” Can Tho sits along the banks of the Hau River, a distributary of the larger Mekong River that feeds directly into the South China Sea. It is this prime waterfront locale that has lent to much of Can Tho’s economic and cultural success since its birth more than 2,000 years ago. The initial development of Phu Nam kingdom and Oc Eo culture enjoyed a six-century reign before the delta became desert and sparsely populated. At the close of the 18th century, Mac Cuu settled in the area to cultivate the land under the protection of Lord Nguyen. By 1739, the area had been divided into several smaller sections forming the Ha Tien landscape, thus marking the cornerstone of present day Can Tho. If you’re planning a visit to Can Tho, the timing of your trip makes a difference. Can Tho features two dominant seasons: May through November usually consists of rainy days, with monsoons not an uncommon occurrence. December through April stays dry and humid, which might make it more ideal for most visitors. Given Can Tho’s long history and its focus on culture and economy, you’ll find plenty of activities and sights to make your trip worth the flight. 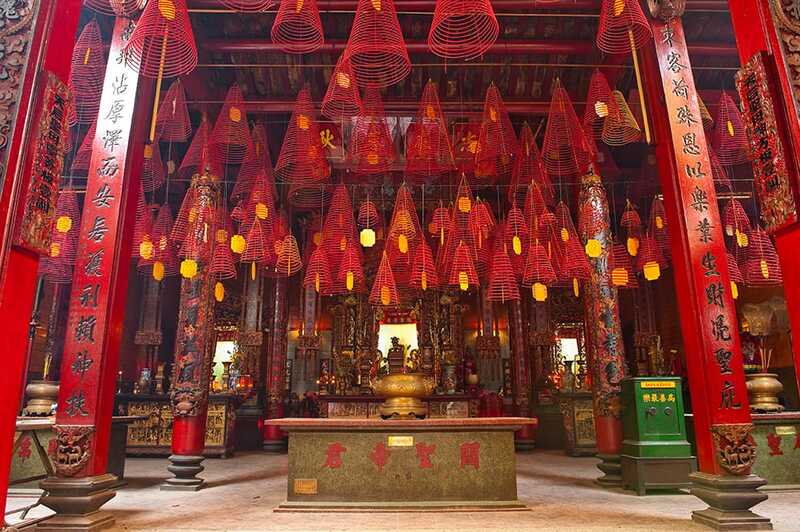 Decorated in large incense coils hanging from the ceiling, the brightly colored Ong Temple was originally built to worship the deity Kuang Kung, who represented loyalty, justice, and reason. You can explore this temple for free, although donations are encouraged. The building, both inside and out, makes for a stunning backdrop to your travel photos thanks to its stunning color scheme. Once covered in rice fields and bamboo trees, storks have made this area their home, and the landowners have welcomed them with open arms. Nearly 300,000 storks reside in the sanctuary during peak months of September through December. While visitors are not allowed inside the sanctuary, they can glimpse stork activity in unspoiled nature from a distance. This city park is a favorite among locals and tourists alike. 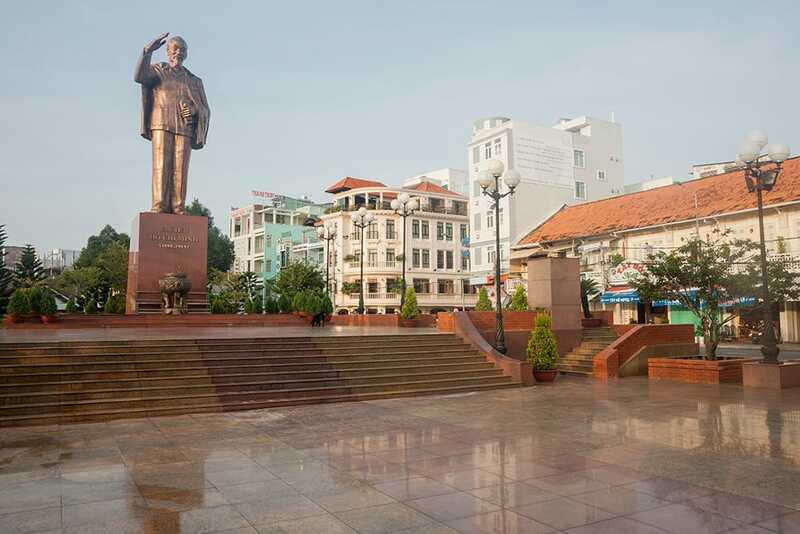 The park features green areas for recreation, badminton, and a public square with a statue of Ho Chi Minh at its center. It’s a prime spot to sit and watch boats float by, take photos, and walk around enjoying the sights. The park is also a nighttime hot spot where locals and visitors gather to shop and trade. This pagoda is one of the largest active Buddhist temples, with monks still residing on the premises. You can visit the temple throughout the day, though it’s usually much livelier in the evenings. Despite having undergone renovations in 2012, visitors can still get a taste of the rich history and function the pagoda provided years ago. 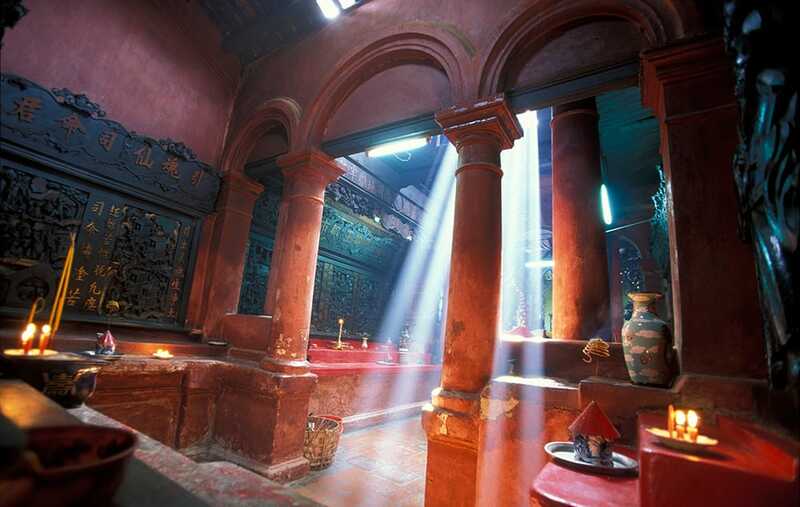 Offering true Can Tho cultural immersion, this museum is the largest in the Mekong delta. Guets will see local history come to life via displays, mannequins, and life-sized structures that represent Can Tho’s rich culture. On exhibit are a traditional teahouse, various delta watercraft, and depictions of rice production, and other relics. This is the center of the city, named for the new regime that took over power after the Vietnamese war. In this area, you’ll find Mau Tan Street (which means “year of the monkey), famous for being the longest street in the Mekong Delta. The beginning of the street houses a popular market selling food and other wares, along with two nearby churches and the Quang Duc Pagoda. Alongside the main section of Xuan Khanh Quarter is the less-touristy student quarter. Students studying at Can Tho University frequent the area for shopping and low-budget restaurants and snack bars, in addition to the dining experience known as Hot Pot Alley. A historical emblem found in nearly every early village, this particular communal house once served as the center of daily life for all citizens. Visitors will delight in the wooden carvings and traditional craftsmanship of the structure and get a glimpse into a day in the life of those served by the communal house. When it comes to traveling abroad, shopping is a must, even if you only buy one little memento to remember your trip. 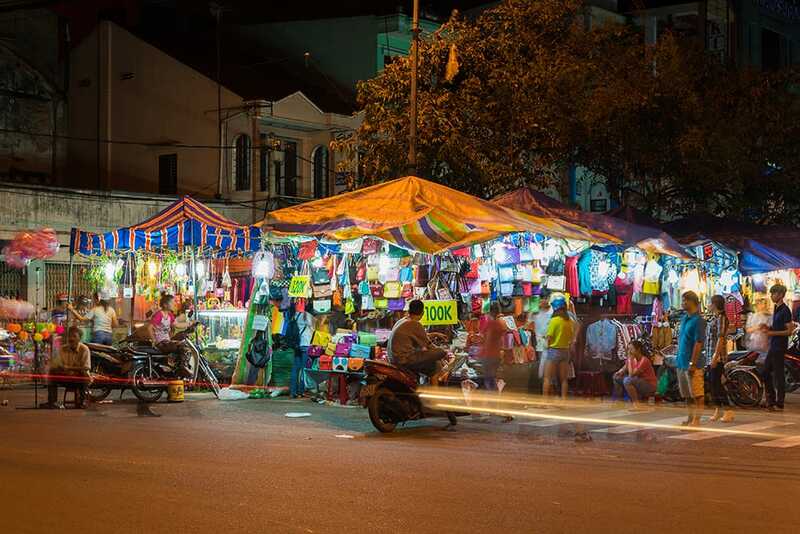 Can Tho features numerous indoor and open air markets that bring local foods, crafts, clothing, music, and entertainment into one-stop shopping hubs. Once serving as the main market in Can Tho, there’s only one of the original buildings still standing here. However, it’s certainly one worth visiting, especially with its beautiful garden surroundings. One of the uniquities that sets Can Tho apart from other Vietnam hot spots are the floating markets, where owners set up shop in their boats to sell wholesale goods, mostly food. The Cai Rang floating market is largest one in the area, sitting 6 kilometers (or a 40-minute boat ride) from Can Tho in the Mekong Delta. Others who have visited the market recommended getting there early, around 4:00 am when the market first opens. You can hire a boat tour guide that can transport you to and from the Cai Rang market for a small fee. This locals hangout houses one of the biggest wholesale marketplaces in the city. Here you’ll find a blend of street food and crafts packed with Can Tho flavor, along with music and other entertainment. You can fill your appetite quickly and cheaply here, sampling a variety of authentic Can Tho cuisine from various vendors for as little as $3-$5 USD total. Tourists have also commented on how safe and comfortable they felt while strolling through the market and interacting with the vendors. It’s a cultural experience for tourists, giving you a solid look at daily life in Vietnam. Known for its architectural styles, Cantho Market specializes in fresh produce and other items. It’s also one of the oldest markets, with construction dating back to 1915. As you wander among the different souvenir, food, and clothing vendors, you can enjoy the beautiful sights and scenery of the adjacent river and bulk up your vacation photo library. The prices are very reasonable here, and offer a good variety of food and products to suit nearly every taste. 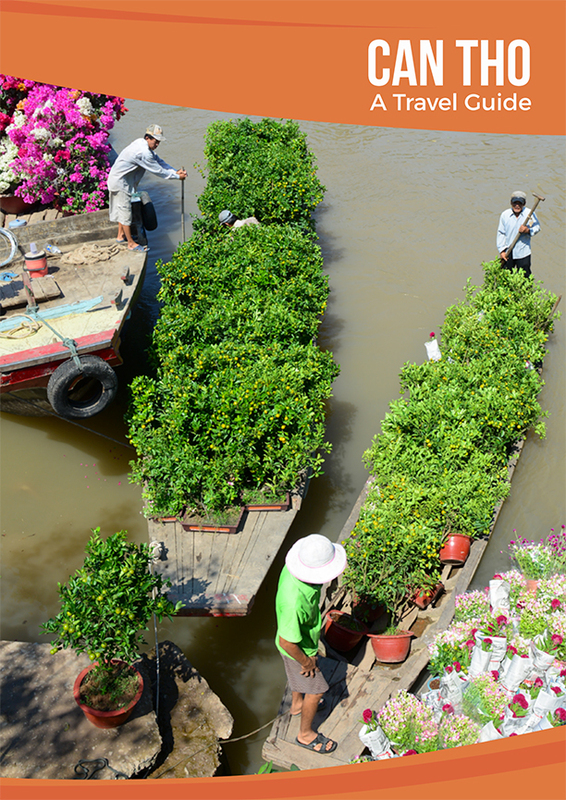 If you want the full Can Tho cultural experience, visiting the famed floating markets is a must. One of the city’s prime must-see places for tourists, floating markets (like the Cai Rang or Phong Dien floating markets) are shops set up in boats in the water with a sample of their wares perched high on a pole on their boat. 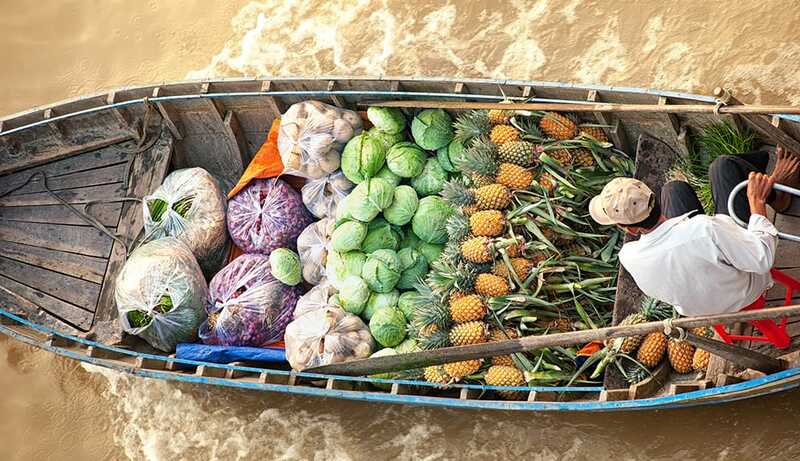 The best way to experience the various floating markets is by boat. And if you didn’t happen to bring one with you, there are plenty of boat tours offered exclusively for floating markets for around $10-$15 USD. There’s much more to the Mekong River than you can see from your hotel room. Book a daytime or overnight Bassac cruise on a traditional wooden ship that bears resemblance to traditional rice barges. You’ll enjoy the sights of the delta as you dine on authentic local cuisine while surrounding yourself with all the comforts and conveniences of home. In addition to a relaxing boat ride, some cruise itineraries give you the chance to disembark at an authentic village and tour a local home, discover the wonders of a floating market, enjoy a dinnertime sunset over the water, wander through hidden pagodas, or embark on a bicycle ride through the country. If you want to branch out beyond the city, consider a day-long bike tour that takes you to some of Can Tho’s most scenic areas, such as fruit orchards, rivers, and countrysides. Local tour guides can fill your ears with facts you would’ve never learned on the streets while you soak in parts of the local Can Tho culture that are hard to come by in the city’s main hub. Plus, it’s a great way to get the blood flowing after a long flight or drive. If you aren’t sure which sites you’d like to visit or don’t want to spend half your time planning what to do and where to go, take a guided sightseeing tour that lets someone else do the organizing so you can sit back and enjoy the views. You can tour different areas and sights of the city or waterways, with tour times ranging from a couple hours, like a car tour of the most popular attractions, to a couple days, like the homestay tour at an authentic local farm. Hot Pot Alley is a strip of a dozen or more restaurants all serving up delectable Can Tho hot pots. Hot pots are soups you cook yourself on your table, adding your choice of vegetables, leaves, noodles, and other ingredients. 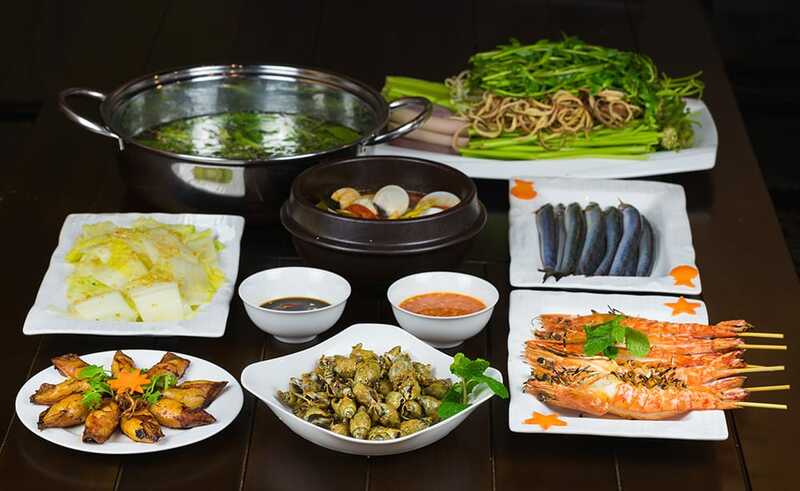 Those who have trekked the Hot Pot Alley agree that no trip to Can Tho is complete without a hot pot meal. For diners on a budget, you can find a variety of Vietnamese staples in local eateries, like bahn mi sandwiches (served on short baguettes), seasonal fruits (especially mangoes and pineapples), satay, and “nems,” or spring rolls. And, for the not-so-adventurous eaters, there’s a Burger King in Sense City Mall. For more refined palates, a meal at Nam Bo or Sao Hom is in order. Both restaurants are located near the riverfront. Both offer a certain ambiance to round out the dining experience. And both serve a variety of Vietnamese and Western dishes to please even picky eaters. Missy’s Cakes & Cafe offers a homey experience, serving up a variety of cakes and coffees in a classy, retro-style setting. For nightlife seekers, the Cafe Bar Eden is a prime destination for couples looking for good food and entertainment. For some of the best views in the city, the International Rooftop Bar inside the Hotel Xoai provides cheap drinks and international music in a family-run environment. If you want entertainment without the nightlife atmosphere, head to Cara Cafe, the city’s premiere Movie Cafe. Though it isn’t the biggest city in Vietnam, Can Tho’s establishment of the Can Tho International Airport in 2011, along with an expanding population and thriving tourist economy, attest to its long-standing tradition of excellence in providing visitors a worthwhile experience.